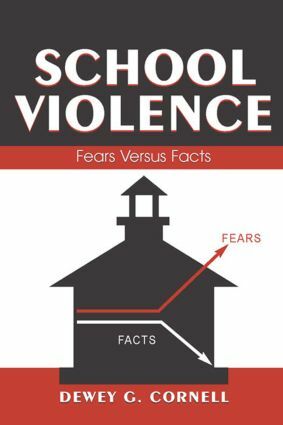 Contrarian Approach–This book identifies and refutes 19 basic misconceptions about trends in youth violence and school safety, and shows how the fear of school violence has been exaggerated through inaccurate statistics, erroneous conclusions about youth violence, and over-emphasis on atypical, sensational cases. Readability–The book translates scientific, evidence-based research into language that educators, parents, law enforcement officers, and policymakers can readily understand and shows what can be done to improve things. Expertise–Dewey Cornell is a forensic psychologist and Professor of Education at the University of Virginia, where he holds an endowed chair in Education. He is Director of the UVA Youth Violence Project and is a faculty associate of the Institute of Law, Psychiatry, and Public Policy. The author of more than 100 publications in psychology and education, he frequently testifies in criminal proceedings and at legislative hearings involving violence prevention efforts. This book is appropriate for courses or seminars dealing wholly or partly with school violence and school safety. It is also an indispensable volume for school administrators and safety officers; local, state, and national policymakers; involved parents; and academic libraries serving these groups. "There is much to recommend in this book. It is perhaps the best single volume that is available for the educated lay reader. The format is accessible…the reasoning is sound and the research cited is substantial….would certainly recommend the book…." Preface. The Fear of School Violence: An Overview. Are Our Schools Safe? : From Juvenile Crime to School Violence. What Caused the School Shootings? How Many Guns in Our Schools? What Can We Do About Bullying? Are We Teaching Our Kids to Kill? Does Prevention Work? What Doesn't Work? How Can We Deal With Student Threats? What Do Our Schools Need?